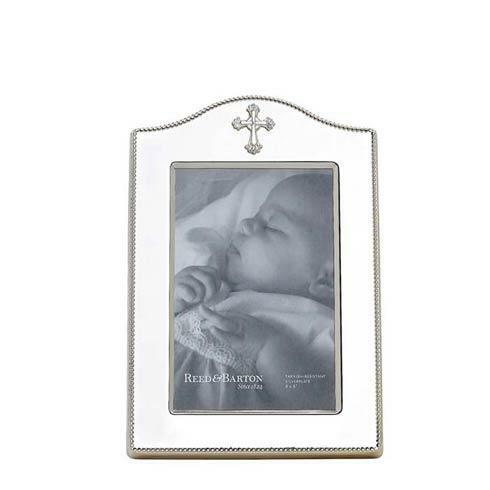 Reed & Barton ~ Abbey Collection ~ 4 x 6" Silverplate Frame, Price $60.00 in New York, NY from William-Wayne & Co.
Showcasing a centered cross, the Abbey 4x6 Picture Frame from Reed & Barton is an extravagantly detailed gift for any religious event. Inspired by ornate designs of elegant abbeys, this silverplate picture frame features an arched top and beaded border. Elegantly packaged for gift-giving. Part of the Abbey Collection.